We can't let Theresa May run down the clock to a no-deal Brexit, writes Alex Mayer MEP. Suggesting we fire paint balls at the enemy, hiring a ferry company with no ferries and failing to organise a traffic jam. If it was not so serious, it has all the makings of a television sitcom. Rather than pondering the period directly after Britain crashes out of the European Union without a deal, we need to be prepared for the time immediately before that, when the “don’t panic” refrain really could spell disaster for the UK. It does not take much for petrol pumps to run dry and supermarkets to run out of food. It is salutatory to look back to the recent past, in the early years of the Labour Government, when the fuel protests of 2000 took place. On Thursday 7 September 2000, a hundred farmers and lorry drivers blockaded an oil refinery in Cheshire. 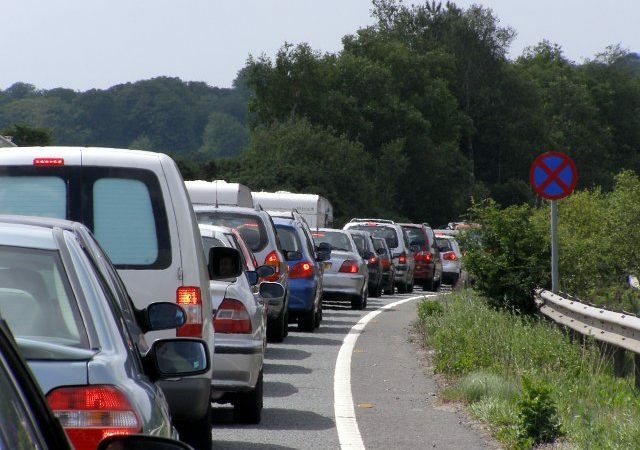 Within three days, motorists were stockpiling fuel, causing a run on petrol, which in turn sparked yet more panic buying. A day later some ambulance drivers were told to stick to 55mph to conserve fuel and, just five days from the start of the protest, the NHS was put on red alert as supermarkets started running out of food due to bulk buying and blocked deliveries. Panic spread like wildfire. This was of course before Facebook and Twitter, and before the omnipresence of rolling 24 hour news. If every news channel, newspaper and social media site starts highlighting #emptyshelves, with selfies of disgruntled people standing in long queues unable to buy the weekly shop, how long before the contagion of panic really spreads. This week alone, the British Chambers of Commerce said there were “huge concerns” that Britain was not prepared for all eventualities of Brexit; the Government announced it was preparing itself for a legal battle with Eurotunnel over its own Brexit deal equating to a breach of contract; and the head of MI6 announced he is delaying retirement because of post-Brexit security concerns. We were of course, by now, meant to have agreed the Withdrawal Agreement with votes in both Westminster and the European Parliament – but deadlines keep passing, with plenty of debate in the House of Commons, but no resolve. Now the European Council meeting of 22 March is being suggested as a new key date, just one week before 29th March, Brexit Day. This is Theresa May’s deliberate strategy of running down the clock. A strategy of letting the days, minutes and seconds tick down, assumes an end-date within your control. The 2000 fuel crisis shows us events can spin rapidly out of control, even at a time when Britain had a Prime Minister with a solid majority and ample room for manoeuvre. The hard truth is no-one in Westminster knows how long we have until no-deal Brexit panic sets in. The only way to prevent this is to take “no deal” off the table and extend Article 50. Alex Mayer is Labour MEP for the East of England, and Labour’s spokesperson for the economy in the European Parliament.